In this tutorial, I will explain a simple method to see your tweets by month. The best part is that you don’t have to use any website or application to see this data. You can use Twitter Advanced Search feature to see your tweets by month or see tweets for a specific time period. Well, you can also use it to extract monthly tweets of any Twitter user. You can also apply several advanced filters together to further filter the tweets, like, you can use it to find tweets with exact phrases, hashtags, near a location, and between a time range. So, it is pretty useful if you just want to quickly see tweets with specific hashtags or even find tweets sent to a specific account or mentioning specific accounts. 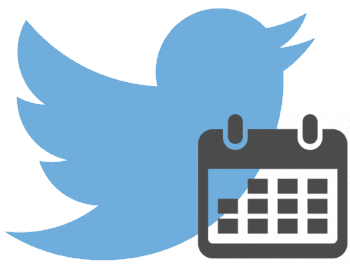 In this tutorial, I will show how Twitter Advanced Search can be used to find tweets between a specific time period, or for a specific month. 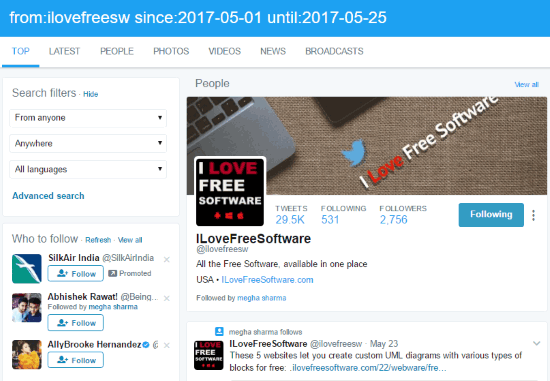 Previously, we have written other useful Twitter tutorials which explained how to download Twitter followers, etc. In this tutorial, I will cover an aspect of Twitter Advanced Search to find my tweets and tweets of any user for a specific time period. Step 1: Go to the link at the end of this tutorial to access Twitter Advanced Search. After that, all you need to do is specify a Twitter handle in the “From these accounts” field and time range in “From this date”. After that, hit the “Search” button to get all tweets from the specified start date to end date. Step 2: On the search results page as shown in the screenshot below, you can find the tweets of the specified Twitter handle during the specified time range. The best part is that you can also find the photo and video tweets of that Twitter handle. Just switch to the “PHOTOS” and “VIDEOS” tab of the search results page to see the photo and video tweets by month. So, by these simple steps you can see your tweets or tweets of any other Twitter handle for any month, or any time period. Of course, you can apply these filters together to find more specific tweets. 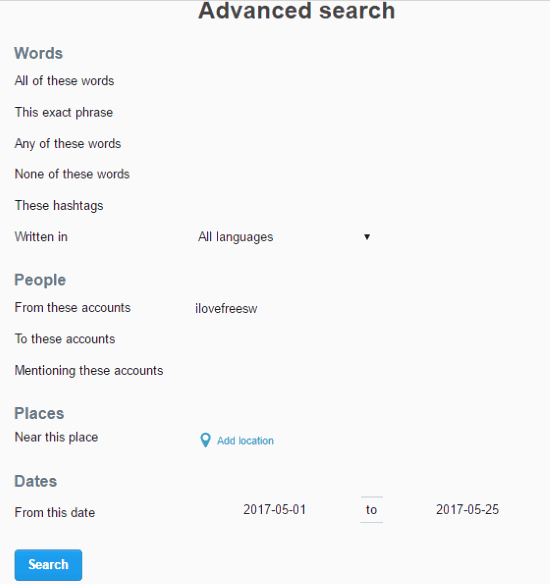 In this tutorial, I explained how you can use Twitter Advanced Search to find tweets by months or a specific time range of any user. You can also find tweets sent to specific users, find photos and videos tweets sent by a user during a time range, etc. Start using Twitter Advanced Search.